AUSTIN, Texas (CNN) - It's unclear whether a series of deadly package explosions in Austin are racially motivated. But until more is known, some residents of color in the Texas capital say they feel under threat. 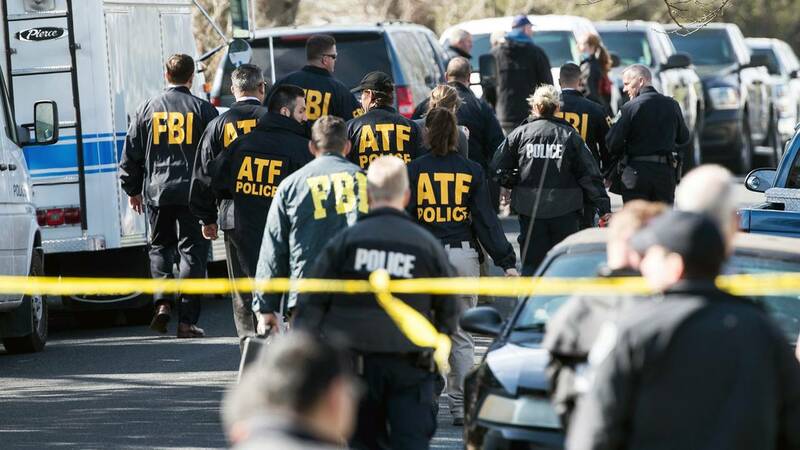 Three package bombs exploded at homes in Austin in 10 days -- one on March 2 and two on Monday -- killing two people and injuring two others. Police are considering the possibility they could be hate crimes since the victims were African-American and Hispanic, but they don't have a motive yet. "We cannot rule out hate, but we're not saying it's hate," Austin Police Chief Brian Manley said Thursday. Manley addressed the community at a town hall Thursday in East Austin, where two of the bombings occurred. The event was hosted by the Austin Justice Coalition, a grassroots organization that addresses criminal, economic and social justice. "We do feel targeted. Until it happens to somebody that is not a person of color I think that is going to remain the same," Chas Moore, executive director of AJC, said earlier Thursday. Part of that feeling has to do with the victims' identities, he said. It also comes from a rarely acknowledged racial divide in a city known as a liberal beacon in a red state. As more wealthy, college-educated professionals make the city their home, people of color are being pushed out of historically black neighborhoods such as East Austin. "Austin is a liberal city but it's liberal to a max," Moore said. "We still have black and brown people who have been pushed out of the east side." Moore and other town hall speakers urged the crowd to focus on healing and to trust law enforcement to handle the investigation. "This moment cannot be something that divides us," said Travis County Democratic Party Chairman Vincent Harding. "This cannot be a white issue or black issue or an east issue or west issue. This must be a human issue, this must an Austin issue for all of us." After the first bombing, police believed they were dealing with a single, one-off incident. But after two more, investigators said they believed all three were related. The second blast was reported at 6:44 a.m. Monday. It killed 17-year-old Draylen Mason, an aspiring doctor and orchestra bassist who was clearly "going places," said neighbor Jesse Washington, who was awoken by the blast. "How was that house picked? We're right next door, we've got several vacant homes on the street," Washington said Thursday outside his home. A retired city of Austin code enforcement inspector and Navy veteran, Washington said he is reserving judgment on whether the attacks were hate crimes. But after the last two on Monday, "That question is kind of in the back of my mind," he said. "There's a part of me that says it very well could be." People are not necessarily living in fear of the next bombing, Moore said. But they are looking for community-based solutions to preventing another explosion, which is what the town hall is for, he said. "Our neighbors are actually strangers, and that's why stuff like this is happening, because we live in a society where if it don't affect me, so be it," he said. "We prevent crime by getting more attached and more connected to one another." The explosions left city residents on edge and suspicious of packages delivered to their homes. The packages were placed in front of the residents' houses, Manley said. They appeared to be "average-sized delivery boxes, not exceptionally large," Manley said. None of the cardboard packages was delivered by the US Postal Service or delivery services such as UPS or FedEx, police said. The packages were left in the overnight hours. The first went off on the morning of March 2, killing Anthony Stephan House, a 39-year-old African-American man. He picked up the package outside his home in north Austin. The second occurred inside Draylen Mason's East Austin home. Someone found the package on the front doorstep, brought it inside and tried to open it in the kitchen. Mason's mother suffered non-life threatening injuries. House and Mason had relatives who know each other. House was the stepson of Freddie Dixon, a former pastor at a historic black church in Austin. Dixon and his wife are close friends with Mason's family, according to the teenager's grandmother, Lavonne Mason. The third explosion happened around noon Monday, seriously injuring a 75-year-old Hispanic woman in East Austin. She found the package on a porch and picked it up; it wasn't immediately clear if the woman was the intended target, police said. The package that exploded indoors yielded parts that could be reconstructed, a law enforcement source told CNN on condition of anonymity. The devices were essentially pipe bombs rigged to explode upon opening, the source said. On Tuesday, Manley defended downplaying the first bombing. He said investigators initially believed it was in retaliation against police for raiding a "drug stash house" on the same street a few days earlier. Because the color of the raided home resembles House's residence, investigators believed "they simply got the wrong house," Manley said. He did not elaborate on why investigators believed someone would have wanted to retaliate against a home that police had raided. Manley urged the crowd to exercise caution with unexpected packages. He told town hall attendees that Austin police had an "unprecedented" amount of help from the FBI and the Bureau of Alcohol, Tobacco, Firearms and Explosives, with over 300 agents working the investigation. The FBI has taken custody of the evidence, which is on its way to the FBI headquarters in Quantico, Virginia, he said. Meanwhile, investigators continue to follow up on tips. Rewards totaling $65,000 have been offered for information leading to arrests. "I know there's someone out there who knows who's doing this," he said. "We have to impose upon them the importance of coming forward." Several people in the audience expressed concerns about potential negative interactions between Austin police and members of the community during the investigation. "APD has a poor rapport with the community we're sitting in now," one man said without giving his name. "What are you doing to make sure your officers are sharp and not targeting black and brown men?" Manley assured the audience that his department was working with community leaders to ensure the integrity of the investigation. The president of NAACP Austin urged residents to trust law enforcement as the investigation continues. "Stay focused on the families and in due time and due process we're going to get this problem solved," Nelson Linder said.